A plastic circle found it's way into Kayla FlowJam's hands over five years ago and it completely changed her life! She lost 90 pounds and has found confidence, focus, and a means of moving mediation. She and her husband started Flow Jam Studios to spread the flow arts love through any avenue possible - performances, tutorials, workshops, hosting flow jams, media, and so many more possibilities. This is me now - well, when I went on my better-late-than-never honeymoon in Denver, CO, July 2015. Click on my picture to read my full story! This was me before uncomfortable in my own skin, just before graduation from The University of Texas at Austin in May 2011. 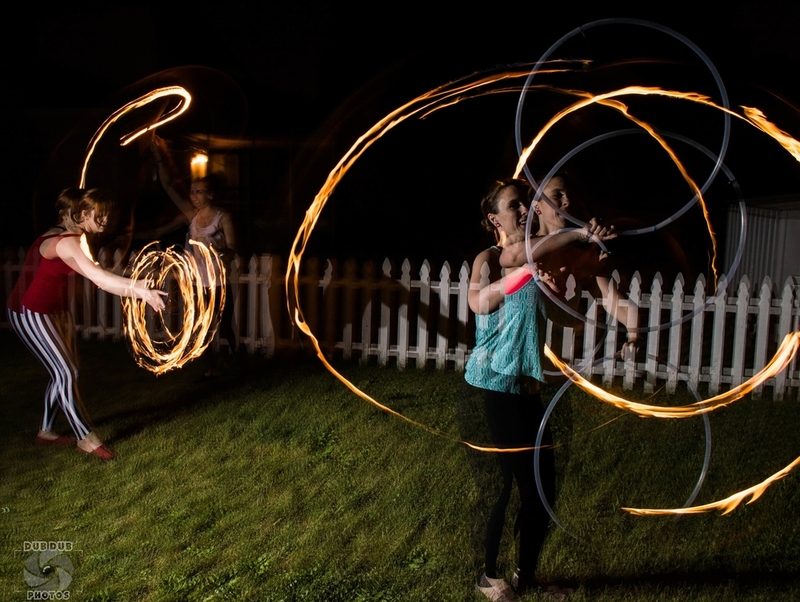 Introducing Columbus' own hoop troupe, the Flow Jam Flowmies. With over 10 years of hooping experience between them, these lovely ladies do more than just hoop! Fans, Fire, LEDs, and more! Have a party or event coming up? Email kayla@flowjamstudios.com now for bookings! Kayla picked up a hoop over five and a half years ago, and hasn't put it down. She enjoys teaching others and spreading the flow arts love. Her favorite hoops are 26" doubles! Michelle started hooping over four and a half years ago with her sister and best friend. Her favorite hoop is 29" in diameter made from 5/8" polypro tubing! Kristen has been hooping for a little over three years. She started after she had been having health problems and was looking for an outlet. Her favorite hoop size is 5/8" polypro, 29" in diameter! 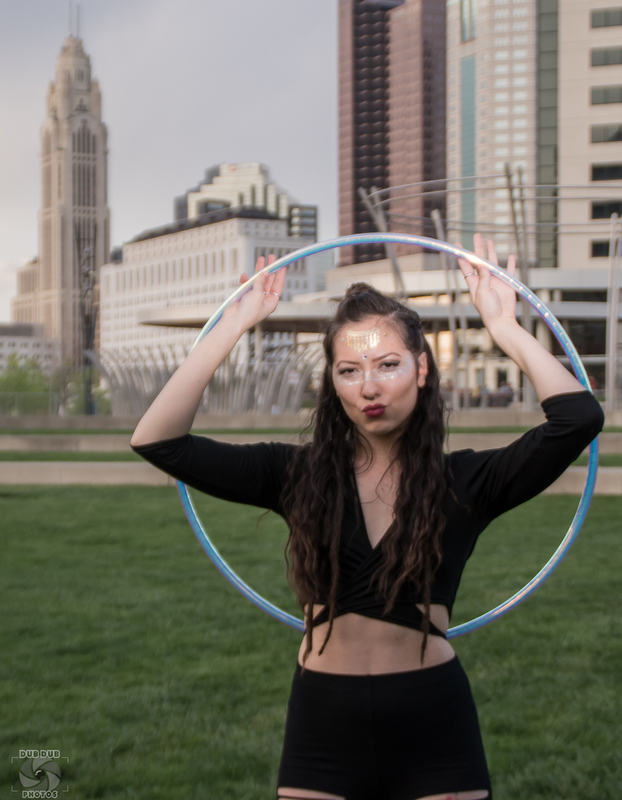 Alexis discovered her passion for hooping nearly four years ago at a music festival and it has been a love affair ever since! Her favorite hoop has a 27” diameter and is made with 5/8 polypro tubing! Flow arts and music go hand in hand to create an amazing time.